Heat oven to 375°F. On ungreased small cookie sheet, place biscuits 2 inches apart. Bake 20 to 24 minutes or until golden brown. After 15 minutes of baking, start making filling. In small bowl, beat eggs with whisk until mixed well. 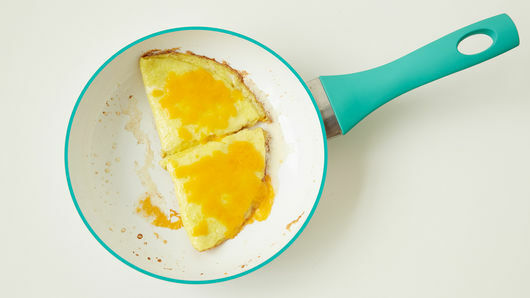 In 8-inch nonstick skillet, heat butter over medium-high heat until hot and sizzling. Add beaten eggs; quickly begin stirring eggs continuously with heat-resistant spatula. As eggs begin to thicken, stop stirring and cook an additional 30 to 60 seconds or until eggs are set. Fold eggs in half; turn off heat. Top eggs with shredded cheese; cover and let stand about 2 minutes or until cheese melts. Cut eggs in half. Make sausages as directed on package. 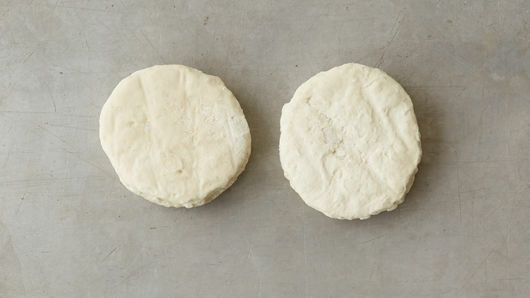 Split warm biscuits horizontally; place on 2 individual serving plates. 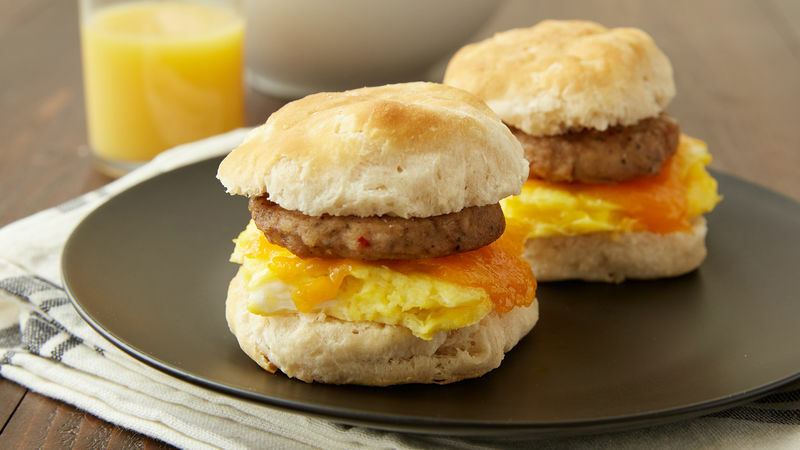 Place egg and sausage on bottom halves of biscuits. Cover with top halves of biscuits; serve immediately. If desired, top with a slice of Cheddar or American cheese in place of shredded cheese. 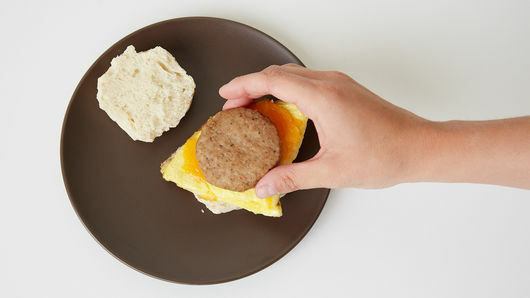 Use your favorite cooked breakfast sausage patty.